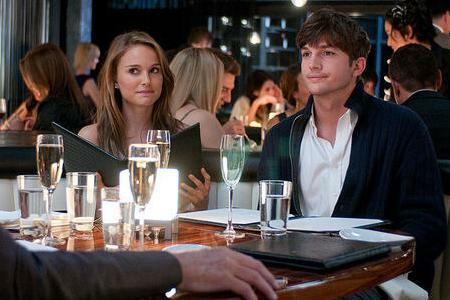 Ashton Kutcher and Natalie Portman’s No Strings Attached debuts atop the weekend box office. Whether starring in a romance, drama or comedy, it’s official: Natalie Portman can do no wrong. The Black Swan star and her costar Ashton Kutcher are enjoying comedy success with a No Strings Attached box-office win. Coming in just behind No Strings Attached was the Seth Rogen action flick The Green Hornet with $18.1 million, bringing its gross total to $63 million. The Vince Vaughn comedy The Dilemma came in third at $9.7 million, making its box-office total over $33 million so far. Rounding out the top five were the Colin Firth-led film, The King’s Speech, with $9.1 million and True Grit with $8 million. The King’s Speech has managed to rake in $58 million at the box office and recently took home top honors at the Producer Guild of America Awards, sending the film into Academy Award nominee buzz. Natalie Portman’s other little film Black Swan, which will most likely earn her an Academy Award Best Actress nod, took the number six spot with $6.2 million while The Fighter came in seventh with $4.5 million. Little Fockers came in at $4.4 million while Yogi Bear skated just behind with $4.1 million. Tron: Legacy rounded out the top ten, bringing in $3.7 million.